When we started the Niche Ripping course a few months back the question was always how we could build an Amazon affiliate site empire, with properly optimized content that we could scale up, in short i needed fast Amazon affiliate site building with proper silo, list posts and easy topical on page SEO. With the recent updates on our Traffic Scout Alpha software suite we are now able to do this in record time, effortlessly and with properly structured sites and topical on page seo. Watch the webinar replay below and i have added an additional video on how to group our keywords for each list post we create and get Google to optimize our content. 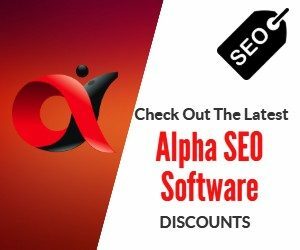 You can get a great deal on Traffic Scout Alpha for a short time with 2 computer licenses if you buy the one computer license option (we will upgrade you within a few hours to 2 computer license) so that you can have a Virtual assistant help you build out these sites fast. 21 On Page SEO Tips The “Experts” Forgot To Tell You About!